In 2013, demand on the MWRA water system was 202.78 million gallons per day, average (mgd/avg). 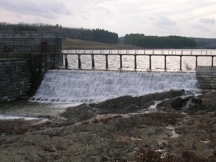 Based on a detailed analysis of major factors affecting water demand, MWRA projects that system demand will remain well below 300 million gallons per day. An archive of water system demand data since 1985, when MWRA was created, is below.